Lucas Ransom (pictured with his father, Brent) was born prematurely with cleft palate as well as other serious medical conditions. His family has been receiving invaluable support through Akron Children’s Haslinger Family Pediatric Palliative Care Center. In addition to the emotional support, the palliative care staff has helped the family with financial concerns as well as practical ones, such as working with his preschool teachers on an Individualized Education Program (IEP). The article is written by Dr. Jerome Groopman, a professor at Harvard Medical School and author of several books on healthcare, including the bestseller How Doctors Think. 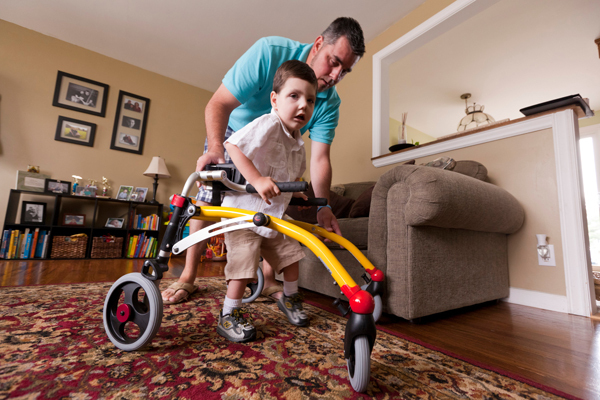 Entitled, “Lives Less Ordinary,” the article focuses on several children with complex medical conditions, including an 11-year-old girl with mitrochondrial disease who’s receiving care from Boston Children’s Hospital’s pediatric palliative care program. Pediatric palliative care, often confused with hospice, is a relatively new medical specialty that aims to help children who suffer from life-threatening or complex illnesses and their families. Programs put an emphasis on care coordination, symptom management, counseling, and helping families make medical decisions within the framework of their family’s goals and priorities. Akron and Boston Children’s programs are among the first in the country, the first to offer fellowship training programs and are now amongst the biggest in the country in terms of patients served. Akron Children’s program is community-based and emphasizes the importance of home visits from social workers, chaplains and others not typically considered part of the medical team. With the current medical model focused on admissions, tests and procedures, these services are usually not covered by insurance. Akron Children’s program has been greatly supported by philanthropy. The New Yorker article highlights Dr. Friebert’s efforts to lobby Congress and the Department of Health and Human Services to support legislation that will help pay for pediatric palliative care. Dr. Friebert, a pediatric oncologist and palliative care specialist, hopes The New Yorker piece will jump start a national conversation about pediatric palliative care the way a similar 2010 The New Yorker article by Dr. Atul Gawande focused attention on adult end-of-life care. Dr. Friebert, who first became interested in pediatric palliative care during her residency at the Children’s Hospital of Philadelphia, would love to see her medical specialty expand so that every child who needs palliative care has access to it. Drs. 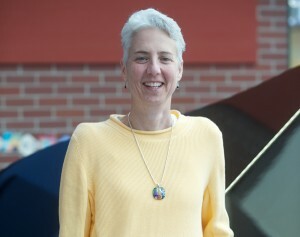 Friebert and Joanne Wolfe, the founder of Boston Children’s program, have devoted their careers to breaking down the barriers to pediatric palliative care, including the perception that parents who seek palliative care to help their children deal with pain and suffering are somehow giving up on their children and the hope of finding a cure. Now, the big challenge has shifted to reimbursement. If the first 2 goals are achieved – better access and better reimbursement – Dr. Friebert said pediatric palliative care will have a workforce issue and more providers will need to be recruited and trained. The article notes that Harvard Medical School devotes only a half a day in 4 years of study to hospice and palliative care medicine. Dr. Friebert discusses the potential significance of the The New Yorker article, and provides additional insight into pediatric palliative care, during the following January 22, 2014 appearance on the Ray Horner Morning Show on WAKR-AM (Akron, OH).